Reports circulated earlier this month that Florida-based TECO Energy (NYSE: TE) had put itself up for sale, prompting the utility to issue a press release confirming that the firm had engaged Morgan Stanley (NYSE: MS) to “explore strategic alternatives.” This news triggered a record single-day gain in TECO Energy’s shares. Will a takeover offer materialize, and how much upside remains in the utility’s stock? Does this announcement portend an uptick in merger and acquisition activity among electric utilities? Which of TECO Energy’s peers hold the most appeal as potential takeover targets. Let’s start with TECO Energy itself. The company’s recent announcement reverses a decades-long strategy that helped to discourage would-be suitors. Throughout TECO Energy’s history, the firm has grown primarily through acquisitions, the majority of which targeted assets in far-flung locales instead of Florida, its home market. For example, the utility’s acquisition of New Mexico Gas from a private holding company in September 2014 more than doubled its customer base and reduced operating risk by adding exposure to regulated gas distribution. 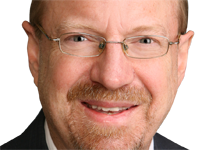 Any prospective acquirer would need to formulate a game plan for integrating these assets and winning regulatory approval in New Mexico; TECO Energy had agreed not to sell New Mexico Gas for at least 10 years after the acquisition closed. And although TECO Energy’s management team has asserted repeatedly that the purchase of New Mexico Gas would be accretive to earnings within the first year, state regulators took their pound of flesh, negotiating a $2 million customer credit, a rate freeze through 2017 and limited job reductions. These operations added $0.04 per share to TECO Energy’s earnings in the first quarter, a period of seasonal strength for gas distribution. Results will take a hit in the second and third quarters, when summer temperatures reduce heating demand, and strengthen when it gets colder in the final three months of the year. The company’s inability to sell its money-losing coal business presents another impediment to a potential deal. This segment lost $5.8 million in the first quarter. These losses will likely steepen, as closures of coal-fired plants and cheap natural-gas prices ensure that the US market remains oversupplied. After an initial agreement to sell its coal-mining assets collapsed last month, TECO Energy announced that the firm had inked a non-binding letter of intent with an undisclosed potential buyer. Barring a sale, the coal-mining business could weigh on the value of any takeover bid TECO Energy might receive. Nevertheless, TECO Energy still holds significant appeal for potential bidders, thanks to an undemanding valuation and ample room for the acquirer to improve the utility’s 5.6 percent return on equity in 2014. And the company appears to be on decent footing after announcing a dividend increase in February 2015—its first in three years. Regulatory relations in Florida and New Mexico also remain salutary, and demographics and demand trends in these service areas promise future growth. Potential buyers include private capital and large utilities that own assets nearby. With a $5 billion market capitalization, TECO Energy is only slightly larger than CLECO Corp (NYSE: CNL), a Louisiana-based electric utility that’s slated to be acquired by a consortium that includes Macquarie Infrastructure & Real Assets. Potential buyers among publicly traded utilities include Duke Energy Corp (NYSE: DUK), NextEra Energy (NYSE: NEE) and Southern Company (NYSE: SO). All three boast strong balance sheets, solid relations with regulators and the scale to unlock significant value from the acquisition. The history of mergers and acquisitions in the utility sector—a space I’ve covered for almost three decades—demonstrates that increased scale usually results in lower costs and improved efficiency. And with a BBB+ credit rating, TECO Energy would enjoy a much lower cost of capital as part of A- rated Duke Energy, A- rated NextEra Energy or A rated Southern Company. Chesapeake Utilities Corp (NYSE: CPK) has also built a position in Florida through acquisitions; however, the firm’s less than $1 billion market capitalization would be an impediment to taking a run at TECO Energy without outside help. Duke Energy’s assets in Florida—acquired in its takeover of Progress Energy—are contiguous with TECO Energy’s Tampa Electric utility, and the North Carolina-based company would gain exposure to gas distribution in the Sunshine State. The latter asset holds particular appeal when you consider Florida’s growing demand for natural gas as a feedstock for power plants, thanks to surging domestic production, the fuel’s inexpensive price. In anticipation of a greater reliance on natural gas, NextEra Energy even received regulatory approval to include natural-gas reserves in its rate base—a decision that consumer groups have appealed in the Florida Supreme Court. If the court upholds the ruling, investment in developing these reserves would help to limit the extent to which volatile natural-gas prices affect electricity prices in the state. Duke Energy also aims to ramp up investment in utility-scale and rooftop solar-power systems; acquiring TECO Energy would expand its customer base in Florida and New Mexico, increasing its list of sales leads for distributed-energy solutions. The same goes for Southern Company and NextEra Energy, both of which have invested considerable sums in rooftop solar power. Securing regulatory approval to acquire TECO Energy shouldn’t be a problem for Duke Energy, NextEra Energy, Southern Company or any other winning bidder. Three years ago, Florida didn’t even hold official hearings before signing off on Duke Energy’s acquisition of Progress Energy. Meanwhile, TECO Energy’s relatively small size and lack of market power suggests that the Federal Energy Regulatory Commission (FERC) won’t have any major objections to a deal, though the regulator could request concessions that would help to promote clean energy. An offer in the range of $24 to $25 per share likely would garner the support of the institutions that own 65 percent of the company’s float. Trading at about $21 per share, the stock has priced in the challenge of selling TECO Energy’s coal-mining operations. 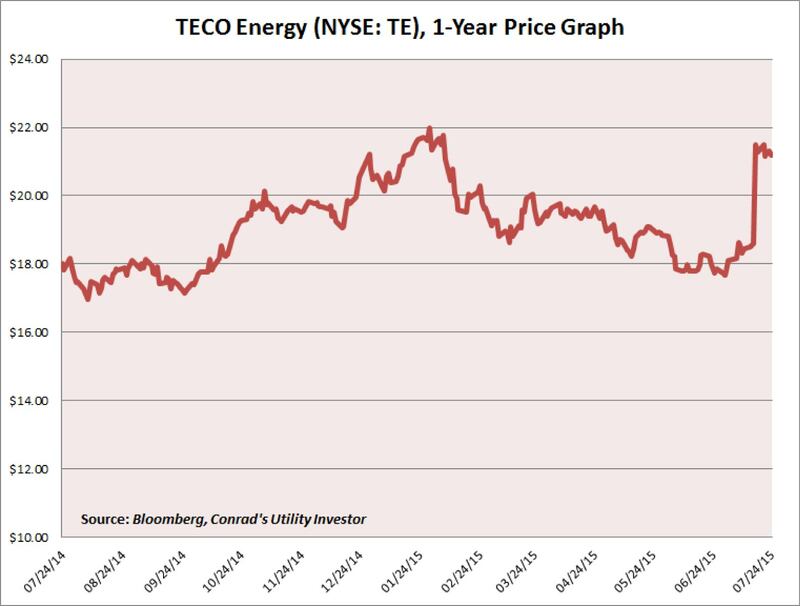 Whether or not an acceptable offer emerges, current shareholders can take solace in the fact that cash flow generated by TECO Energy’s regulated utilities should be sufficient to support the dividend. Rumors of a potential sale have helped TECO Energy’s stock to break out of its long-term funk. But after this recent rally, uncertainty about whether a deal will materialize means that TECO Energy rates a Hold in my Utility Report Card, an exclusive feature for Conrad’s Utility Investor subscribers that includes vital statistics and my assessments of more than 200 essential-services companies. Investors interested in betting on potential takeovers should observe my cardinal rule: Only own stocks issued by companies that should be able to thrive even if a deal never materializes. 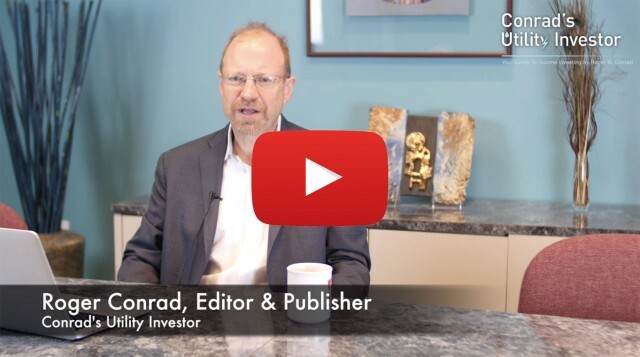 A rigorous screening of the more than 200 essential-services companies that I track in my Utility Report Card reveals 19 names that trade at reasonable valuations and own assets that prospective buyers might want. But only five of these 19 takeover targets earn a buy rating for their current valuation, dividend sustainability, growth prospects and appeal to a potential buyer. 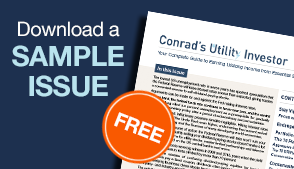 Conrad’s Utility Investor subscribers can access this report in its entirety, while non-subscribers can check out a limited preview of my Top 5 Utility Takeover Plays. 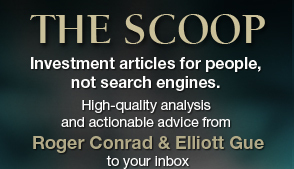 If you’re not a subscriber and like what you see, sign up today for instant access to the complete report.